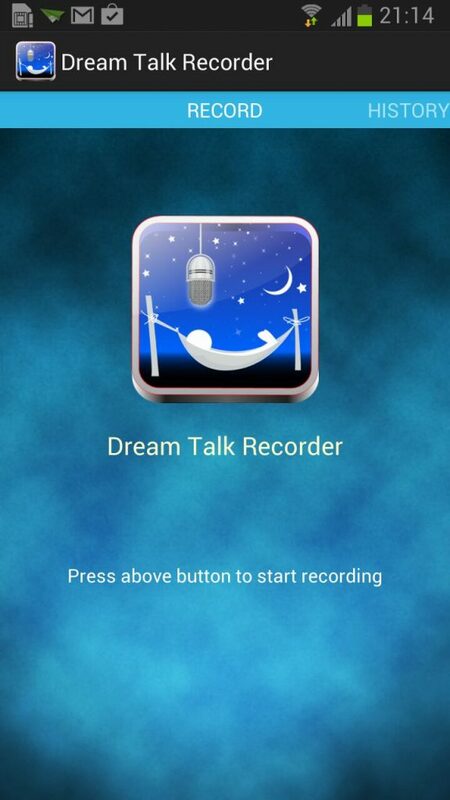 Dream Talk Recorder is an app that promises to record you talking in your sleep and is available for both Android and iOS. 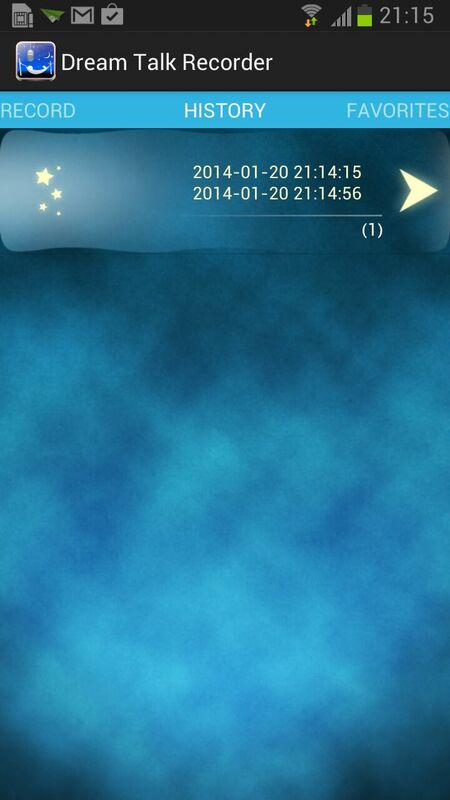 We’re taking a look at the Android variant of the App to see I talk in my sleep. Dream Talk Recorder has a very simple interface allowing you to get straight down to business, and avoids any complicated setting up, which is the last thing you’d want before going to bed. Simply launch the app and hit the button to start recording. The app will then sit and listen for you, your partner, or kids, talking in their sleep. MobiUtil – the team behind Dream Talk Recorder – say that their app uses technology which will only record snoring or talking in your sleep, and it performed up to the test when I sat there talking to it a few minutes into the recording. The app uses the default settings of recording for 6 hours before stopping the recording and saving it into a history tab which is accessible by swiping to the left. The clip can then be played back to hear if you do talk or not in your sleep. A good feature about Dream Talk Recorder is that it doesn’t just record a 6 hour long clip, but it splits it into smaller clips, so you’ll end up with 20-30 smaller clips just when you talk or snore. You can also share your clips to all your favourite social sites, should you so wish. Of course, the app has it’s other uses such as recording a dog barking at home, or even just for seeing if you’re baby is crying when you leave the room. 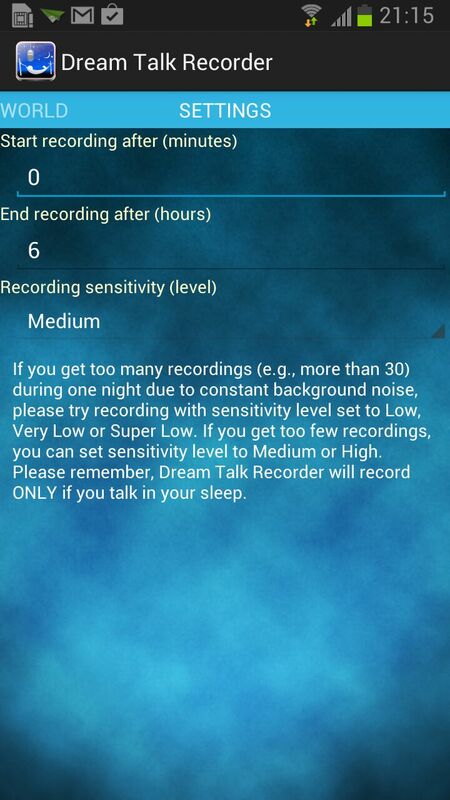 Overall, Dream Talk Recorder is a very good app which does the job of detecting if you’re talking or snoring in your sleep well. The simple interface makes it incredibly easy to use and quick to pick up and go. 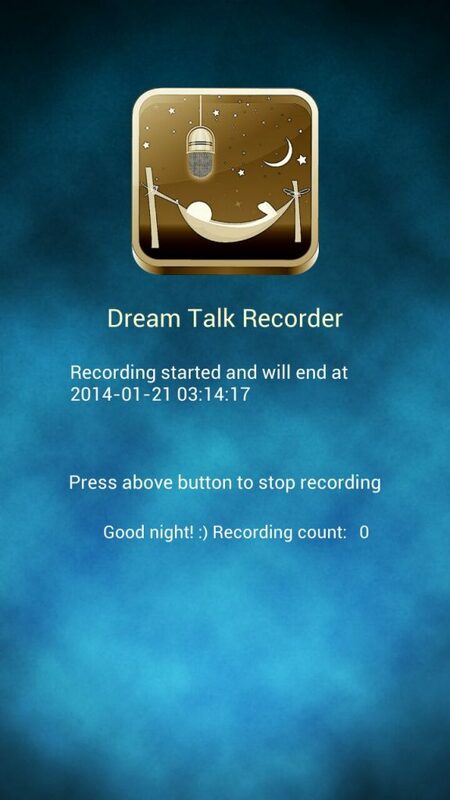 Dream Talk Recorder is available on from the Google Play Store and the Apple App Store for free.